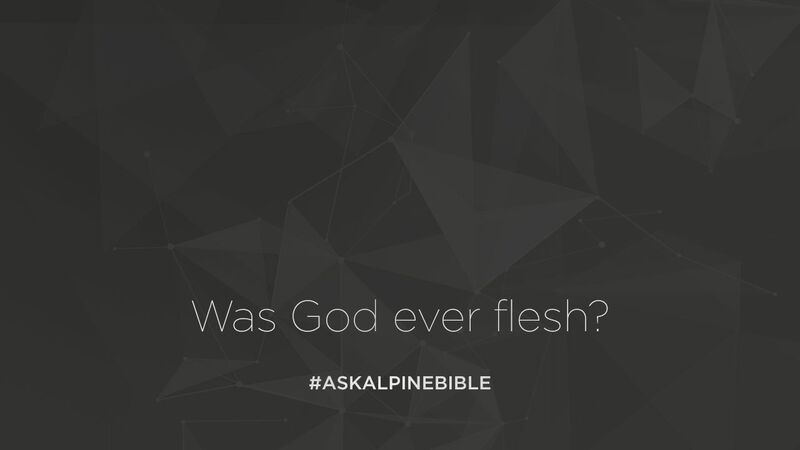 In fact, when it comes to the triune God, it tells us within the Bible that Jesus is the only one that became flesh. I’ve heard people object about that, “What about some of the references to the Father within scripture?” For instance, in Acts 7 when Jesus is standing at the right hand of the Father—doesn’t that mean the Father has flesh and bones? First off, that passage never says the father has flesh and bones. All it says is Jesus is staying at the right hand of the Father. That is an idiom. We use the same type of term today in our own culture when we reference someone has your right hand man. It’s someone you depend on, someone that you trust, and someone that’s close to you. During the times of scripture, and even into medieval times, when someone in political position would have a dinner party, the person that was seated at the right hand of that political leader, that was considered the hand of favor. What it’s saying to us about Jesus, is that finally at Stephen’s death we’re getting a glimpse into heaven. Jesus is sitting in the approved position, showing us that his sacrifice was acceptable. He’s now ruling and reigning. He is at the right hand—the place of favor. It’s not telling us that God has flesh at all but rather it’s a reference to the glory of who Jesus is. Jesus became flesh, died on our behalf, and is now approved. You’ll see him in Scripture sometimes, Jesus will be standing or sitting. If he’s standing, it means he is doing a work for us. If he’s sitting, it means he has completed a work for us. God is spirit. Thank God Jesus became flesh. God became flesh and died for us, but the father has no flesh and bone. That belongs to Christ.